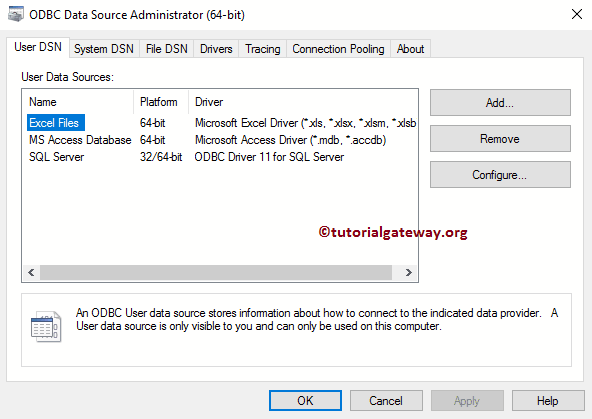 The Open Database Connectivity, shortly called as ODBC is a standard API (Application Programming Interface) for accessing the DBMS (Database management Systems). 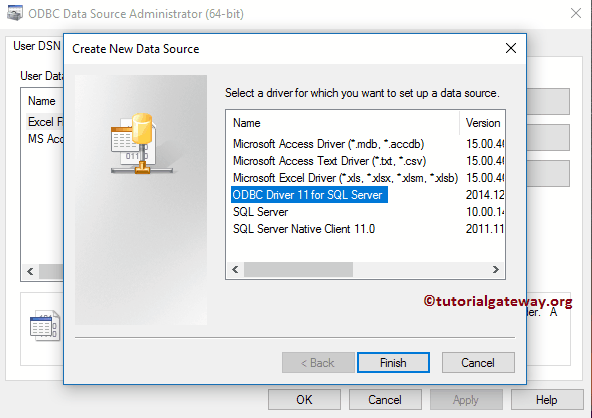 In this article we will show you the step by step approach to Create ODBC Connection for SQL Server in Window 10. TIP: If your system is 32-bit then select the 32-bit and follow the remaining steps. 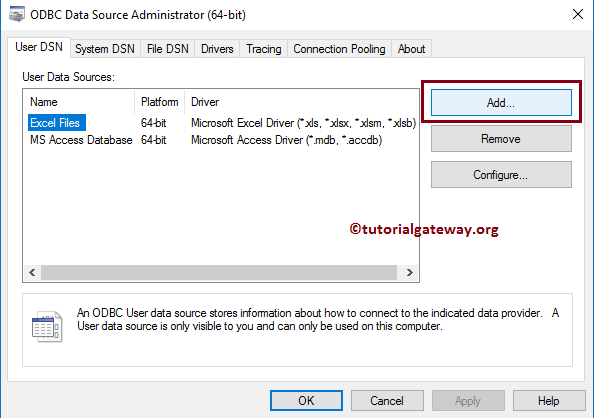 Step 2: Once you click on the Set up ODBC data sources (64-bit) option, ODBC Data Source Administrator (64-bit) Window is opened. From the below screenshot you an observe that, it is showing up the existing connections. 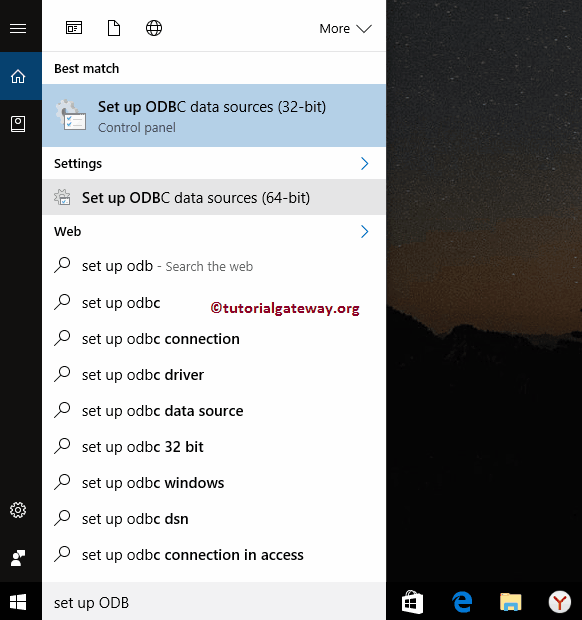 To add new ODBC connection, please click on the Add button. Name: Please specify unique name for this ODBC Connection. 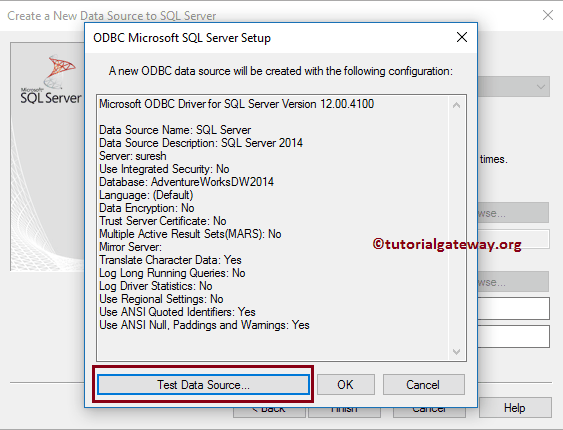 Here we ar assigning the name as SQL Server. Description: Please specify the valid description about the connection we are going to establish. Server: Please specify the Database Server name. 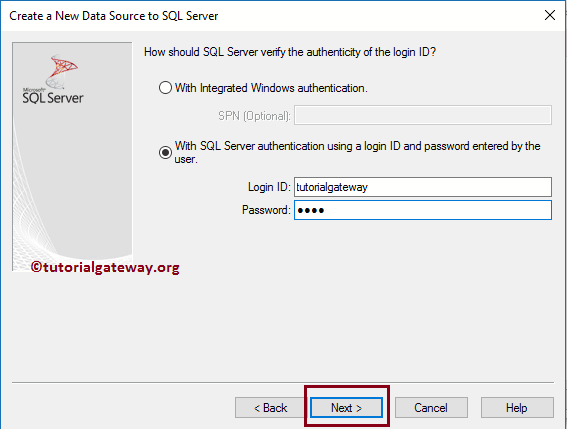 Step 5: Next, We have to provide the required credentials to connect with respective database (SQL Server). Let me provide the Username and password for our Microsoft SQL Server 2014. After you fill the details, please click on the Next button. 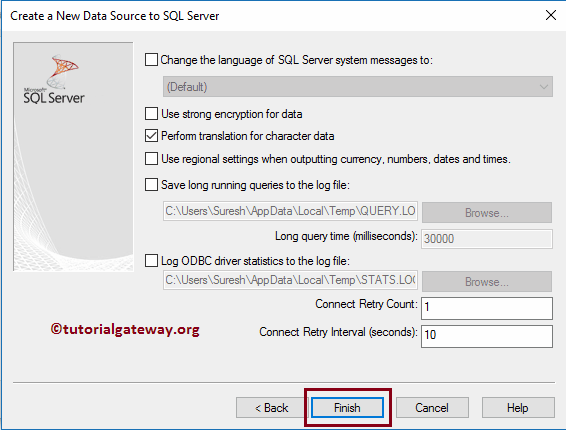 This will connect the database and display the list of databases available for the user tutorialgateway. TIP: Please replace those credentials with your own credentials. 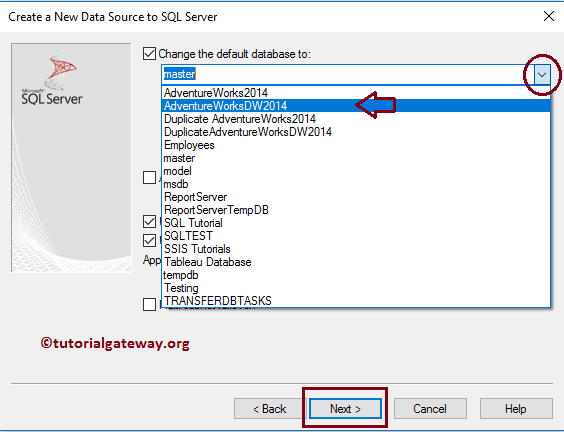 Step 6: From the below screenshot you can observe that, we are selecting the AdventureWorksDW2014 database as our default database. 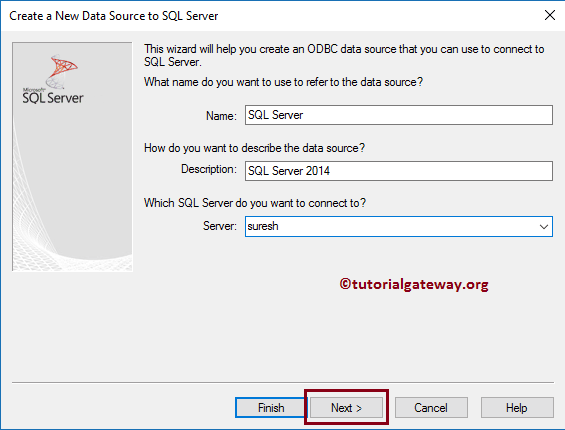 Step 7 : Click on the finish button to finish configuring the ODBC connection for SQL Server in windows. Step 9: Once you click on the Test Data Sources.. button, it will display the test result. 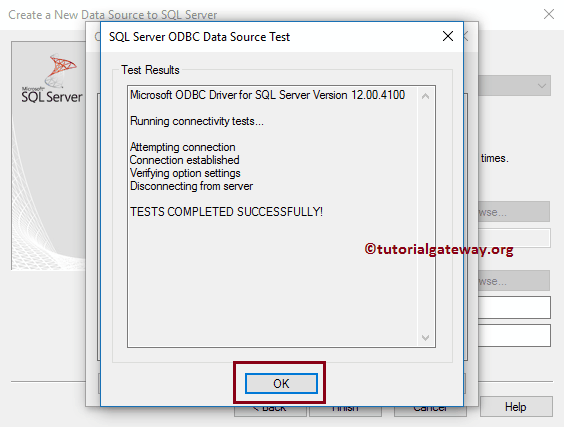 Following screenshot will show you the newly created ODBC connection SQL Server. Click OK to close the window.